The leader of Spain’s breakaway Catalonia region has asked to meet the Spanish prime minister, aiming to restore dialogue and avoid further escalation, but has not provided a clear answer on whether he would press ahead with independence. In a letter to Prime Minister Mariano Rajoy, Carles Puigdemont has also asked Madrid to stop the “repression against the people and the government of Catalonia”. The letter was sent on Monday (16 October), on the eve of a deadline Rajoy has given the region to declare whether it wanted to pursue its independence, which Madrid does not recognise. 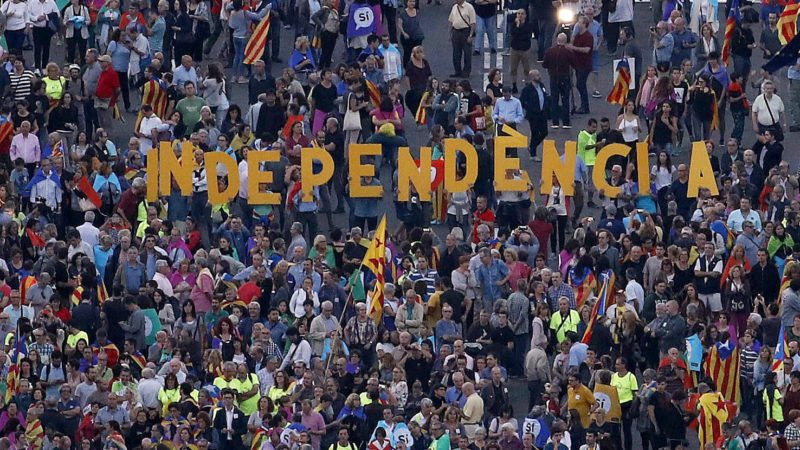 Catalonia’s 1 October independence referendum was ruled illegal by Spain’s constitutional court, and the regional government’s decision to push ahead regardless has caused the worst political crisis in Spain since its transition to democracy in the 1970s. Puigdemont claims a “democratic mandate to declare independence”, after 90% of referendum voters chose to break away from Spain. But turnout was just 43%, with anti-independence voters largely staying at home. In his letter to Rajoy, the Catalan president added that this mandate is further legitimised by Catalonia’s latest regional elections, where “a clear majority of 47.7% voted for independence parties, as against 39.1% who voted for parties explicitly against independence”. 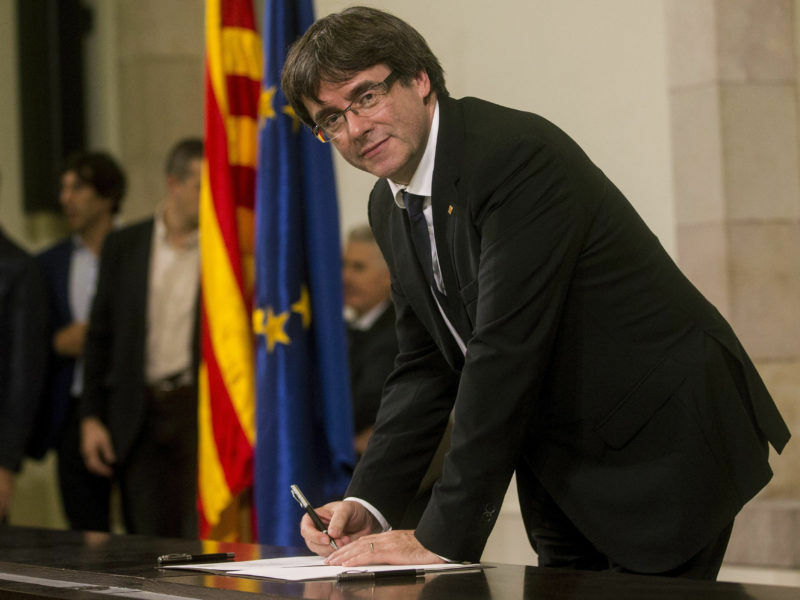 After the referendum, Catalan leaders signed a declaration of independence, before Puigdemont immediately asked the regional parliament to “suspend the effects of the independence declaration to initiate dialogue in the coming weeks”. 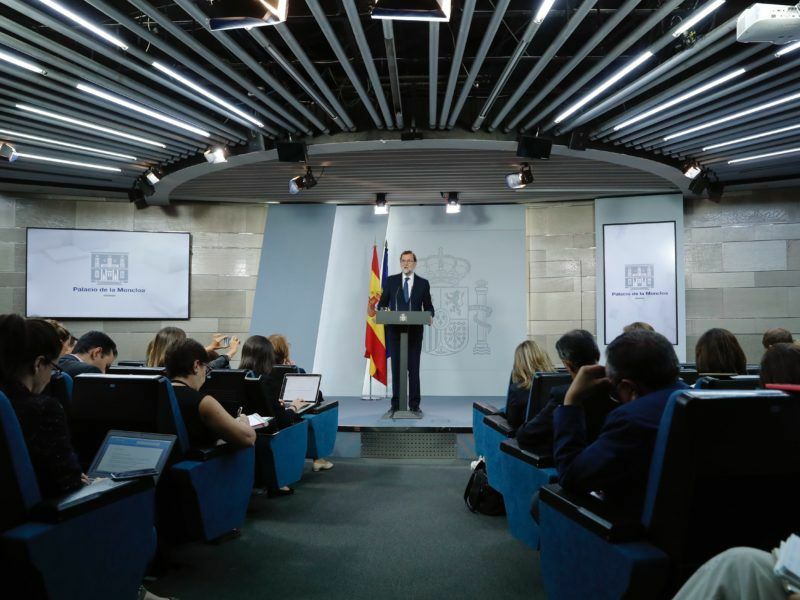 Rajoy’s central government has said it will engage in talks only if independence is taken off the table and has not ruled out imposing direct rule on the breakaway region. Madrid was heavily criticised for its handling of the referendum. Police arrested secessionist local government officials, confiscated ballot boxes and attempted to block voters from polling stations, and have been accused of using violence against peaceful demonstrators. Puigdemont said the measures taken to suppress the Catalan vote amounted to a “violation of fundamental rights” and called for a meeting in “good faith” to resolve the stand-off. The letter Puigdemont wrote to Mr Rajoy was not thew answer toward the question to Puigdemont . Rajoy asked Him if Catalunya was declared Independent so that the spanish constitution can apply the Art.155 . But the déclaration seems still to be suspended and Puidgemont of the Généralitat is corruptly playing a new juristical dirty game against the spanish governement , the spanish people , the spanish King and the spanish constituion. One important thing to know is that the letter sent to Mr. Rajoy is purely bulls*it . One Example concerning the Mossos of Esquadra is in now way exemplary and 50% of the Mosso wants to change to the national Police administration . The Head of “Esquadra” is a real – no control – and a disaster in reality which Puigdemont don’t want to admit. More grabbing in the dark of catalunya’s authority , the clearer the corruption of the separism and endoctrinology as well . Puigdemont s not seeking any dialogue. He is only trying to negociate the Independence way which is ilegal, and avoid prison. There was not referéndum, the score was a fake issue, there are enough exhibits showing people voting several times… catalonia and Vanezuela are the same “democratic” system; they have the same speeches and dangerous leaders.